Foyle Cup – Derry, Northern Ireland. 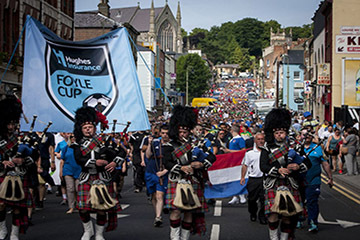 The Foyle Cup is a youth soccer tournament held every year in Derry City, County Derry, Northern Ireland. 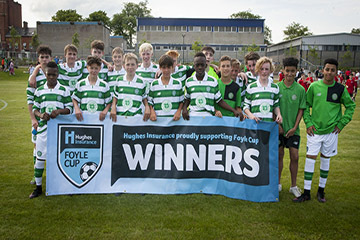 The Foyle Cup is one of Ireland and indeed Europe’s premier youth tournaments. The competition began in 1992 with only eight teams competing. 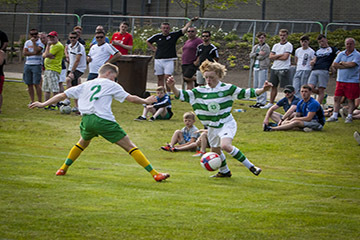 It is seen as one of the most important and pivotal tournaments in Northern Ireland, as it presents an opportunity for the youth of Northern Ireland to show their abilities. 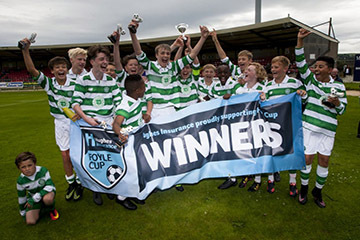 Academy teams such as Werder Bremen, IFK Göteborg, FC Dallas, Celtic FC, Fulham Fc, Norwich City, Sheffield Untied, Sheffield Wednesday, Aberdeen FC and Ferencvaros have participated in the tournament, along with teams from the U.S. and Canada in recent times. It is widely recognised as a tournament that launches the careers of young players aspiring to sign professional contracts. In 2003 former Republic of Ireland player and Sunderland chairman, Niall Quinn launched the tournament. The organisation and attention to detail during the tournament was fantastic. The players really enjoyed testing themselves against the different international & European opposition. I would like to thank David& Conor for being there throughout the process as he made it so easy for me and the other management staff.